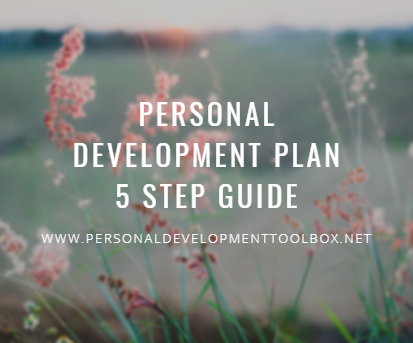 A personal development plan serves as a guide for you to achieve more and great things in life. It basically reflects where you are at the moment and where you want to go tomorrow. So how do you really create a plan? You can actually create your own and be creative about it as long as the three important elements are there: skills to achieve your goals; the available resources; and the outcome. Below is a great example of personal development plan. This plan is composed mainly of questions that you need to answer. Take time answering each question. Sharing and visualizing them with other people is not enough. Write the answers down and read them every single day. You should also review and update them as necessary. 1. Think of where you are now. • What kind of criticisms do you usually get from other people? • What are the factors that affect your performance? An example of performance indicator is time wherein you tend to get stressed and pressured when you are tasked to finish a workload within a short amount of time so you sacrifice the quality of your output. 2. Think of what you want to become in the future. • What are the things that you want to achieve in life? • What are the reasons for you wanting these achievements? • List down your short-term goals. • List down your long-term goals. 3. Ponder on things that you need to do and accomplish for you to reach your dreams. • What are the things, skills, talents, and behaviors that you need to improve on to reach your dreams? • What are the resources easily available for you to do the things that you need to do? 4. Create a timeline for your dreams, with the start and end date for both short-term and long-term goals. • When do you want to achieve your dreams? 5. List other things that are important and needed for you to reach your dreams. If you were able to answer all of these questions, then you just have created your own personal development plan. Creating a personal development plan really requires a lot of thinking and pondering on the part of the planner. It serves as a guide to your future so you might as well be detailed and cautious about it. I read the complete article above, i like it, share it, and so thankful of the website.